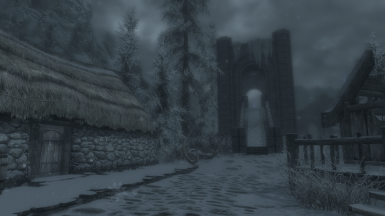 My Skyrim mods are no longer supported. 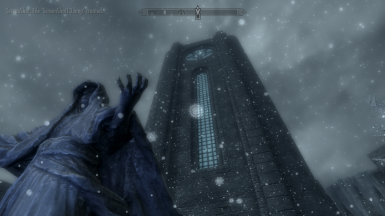 I haven't even started the game up for over a year, and I don't really remember much specific to modding it. It's still fine to use, being a simple replacer and all, but chances are that if you've got a problem, I can't really help you. 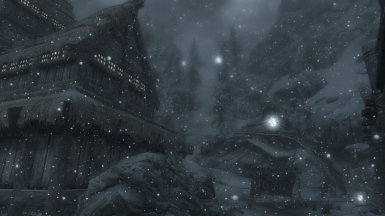 Skyrim has a lot of snow, and I wanted to actually be able to stop and watch it pass by without wondering if the texture is of a translucent blob. Turns out it is, by default. So I've made a few high resolution replacements. 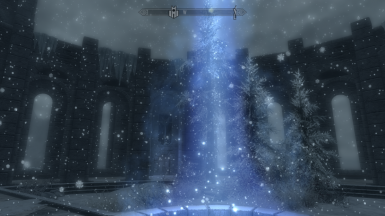 The original texture is 128x128, containing sixteen snowflakes at 32x32 each. My replacements are all 512x512, making each snowflake 128x128. 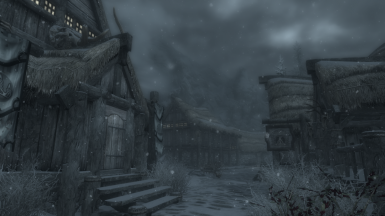 As of now I've only replaced the one texture, but I may replace other snow-related textures should I ever see them in use and feel they need replacing. Whimsical: This is the one I first released. 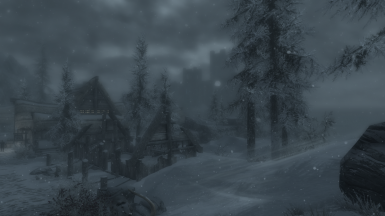 It's not incredibly realistic, and while it all blends rather nicely in a storm if you stop and watch you can see individual flakes passing by (think 'snowflake pattern', not 'indistinct blob'). Magical: These are really light and transparent, but if you look at them they're clearly stylized snowflakes. They afford the highest visibility of them all. Realistic: These are indistinct blobs, just ones that look like falling ice instead of the default 'cotton ball' look. 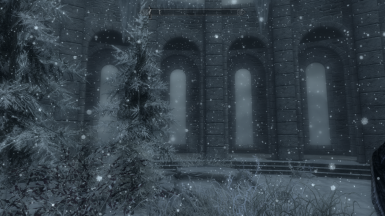 Light: This is realistic, too, only some of the flakes are smaller, affording greater visibility in a snowstorm. Of all four, the screenshots don't really do them justice. They look better in-game and in motion. As far as using this in your own work goes, credit me and it's fine. Crediting Ars Grafik is optional according to their terms.